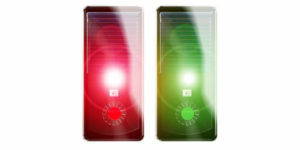 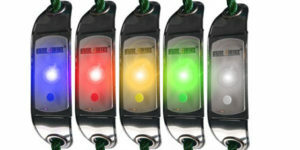 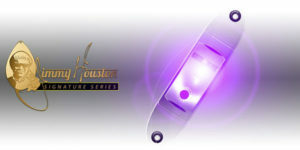 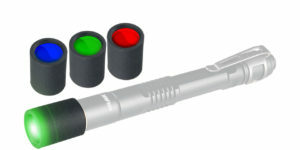 Line-Lights® have two strobe modes (fast/slow) for emergency night time signaling, and the polished aluminum surface can be used as a signaling mirror during the day. The back side still has the 3M® adhesive with easy peel tab and all of the same great features of our APALS® but just with the ability to clip, tie or hook! 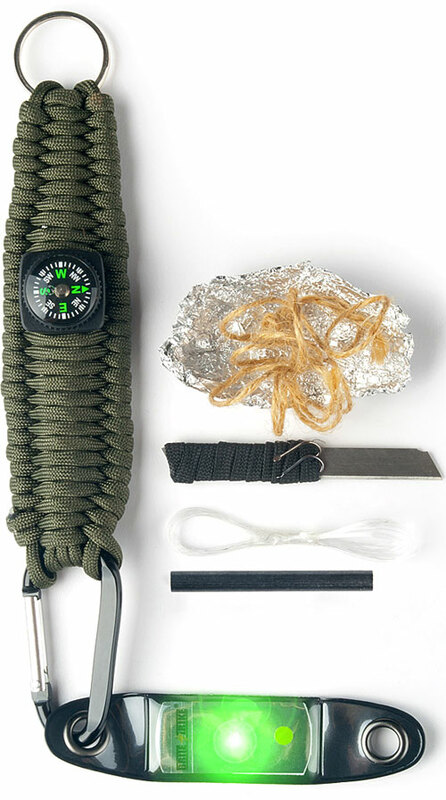 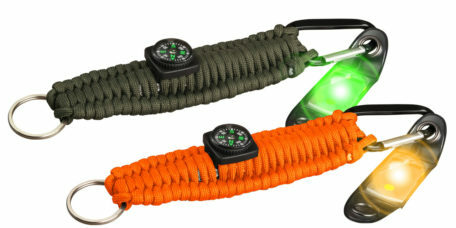 Small essential survival items wrapped in a paracord with a compass.